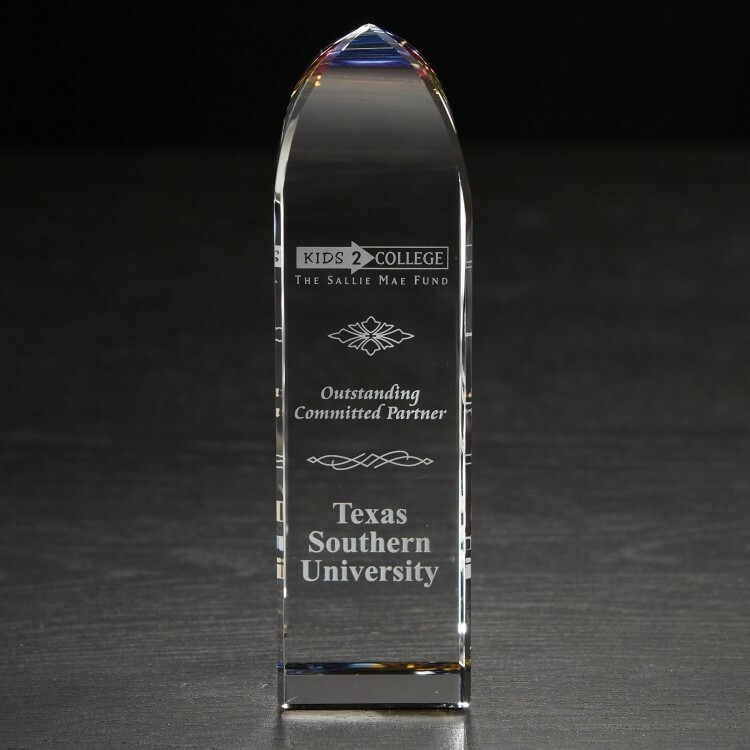 Our Dichroic Tower Award is an excellent choice for honoring employees who go above and beyond expectations. Colorful dichroic reflections fill the top of the beautiful optically perfect piece. Customize this polished product for an anniversary or retirement gift. 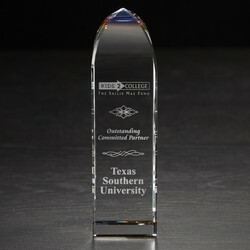 Recipients will proudly display this award on their desktops; showing off your appreciation all year round. 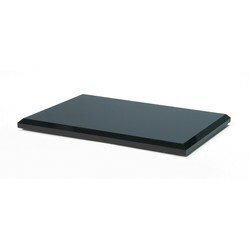 This stylish item will enhance any company celebration; recognize success and order today. Product Highlights: The colorful dichroic reflections fill the top of this beautiful Optically Perfect piece. Imprint Dimensions: 2.25" x 2.5"